Tired of ugly facial hair? Here are some of the easiest beauty tips and home remedies to follow for a quick rid! If there is one beauty woe that is embarrassing and a complete confidence-dampener, it has to be unwanted facial hair. The intensity of the problem may vary – some women have dark fuzzy hair on their face while others have slight hair – but the embarrassment is constant. Dark facial hair can be due to heredity, stress and hormonal changes. Hormonal disorders like acne and excess weight gain can also trigger dense facial hair growth. It has been found that women with dark hair are more hairy than women with blonde hair. 1. Chickpea flour face pack: Mix chick flour, milk and turmeric and make a thick paste. Apply it on the face and leave it to dry. Scrub gently with a damp cloth and wash it after 20 minutes to remove dullness resulting from dead skin and lighten facial hair. 2. 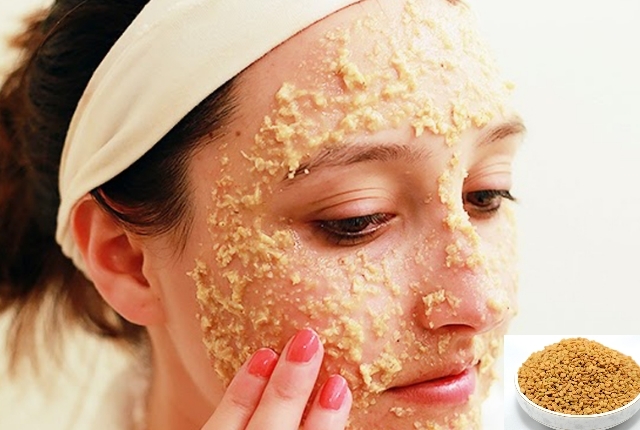 Lentil face pack: Powdered red masoor dal is an excellent face scrub that helps to get rid of facial hair. Make a paste with finely powdered masoor daal and add some milk and few drops of honey to make it into a paste. Leave it for a while and then apply it on the face. Scrub it off after 20 minutes. 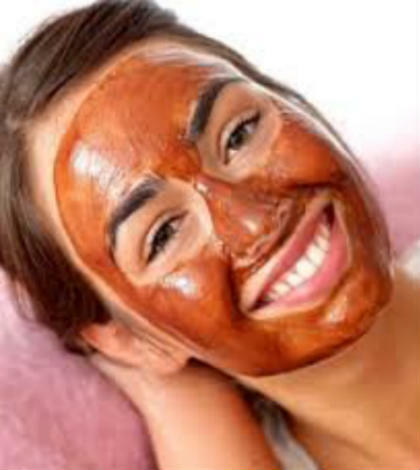 Sandalwood powder, dried orange peel powder and potato juice can be added to the paste to make it more effective, especially in summers to remove tan. 3. Papaya pulp: The enzymes present in papaya help in lightening the color of facial hair by working as natural bleach. 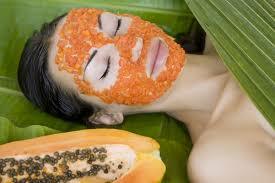 Mix turmeric powder in raw papaya pulp to make a mask. Massage the face with this paste and rinse it off with water after 20 minutes. Alternatively mix milk with papaya and use it as a mask to remove facial hair. 4. 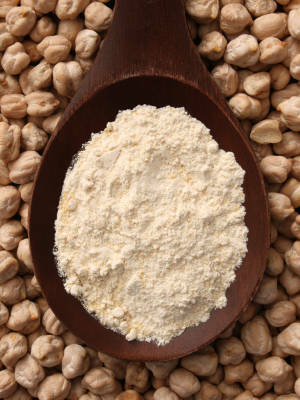 Fenugreek seeds: Fenugreek seeds are one of the most underestimated beauty ingredient. These natural storehouses of beauty are also great for removing facial hair. Soak about two teaspoons of fenugreek seeds and a teaspoon of green gram flour in 5 teaspoons water overnight. In the morning, grind this into a fine paste, adding more water if needed. Apply on the face and let it dry. Once it is dry, use a soft cotton cloth soaked in warm water to remove. 5. 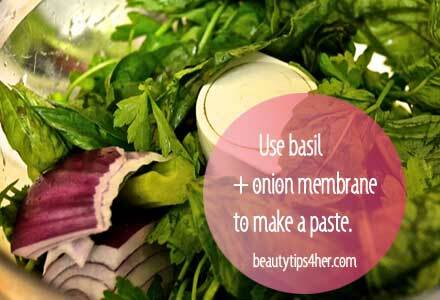 Basil onion paste: A paste of fresh basil leaves and transparent membrane of onions applied on the areas with excess hair, at least thrice a week for a month, will make facial hair fall off completely. The best bit – they do not grow back again! 6. 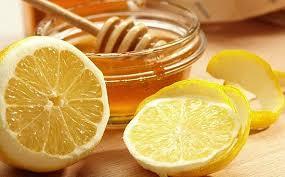 Honey and lemon juice facial bleach: For women that have sparse facial hair, bleach is a good option. But overdoing on the chemical bleach can do more damage than good. Instead of a chemical bleach, make your own bleach with 4 tbsp honey mixed with 1 tbsp lemon juice. Apply on the face and leave on for maximum 15 minutes before rinsing off with warm water. Do apply moisturizer thereafter and avoid scrubbing and exposing yourself to the sun on the day that you have used this treatment.